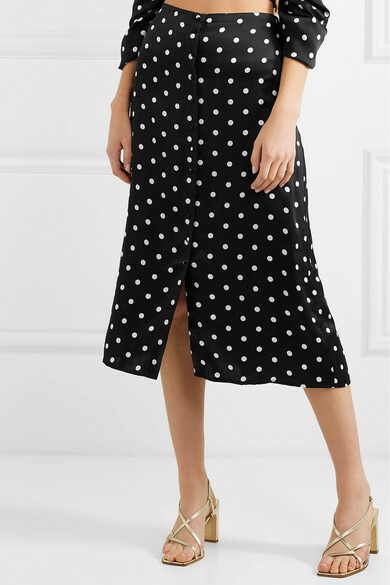 Cami NYC's pieces are so easy to wear for any occasion - pair this skirt with a similar top to dinner or wear it to the office with a crisp white shirt. 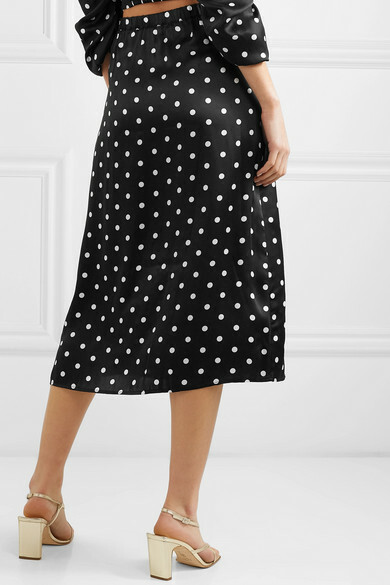 Made from silk-charmeuse, its decorated with a vintage-inspired polka-dot pattern and cut for a straight fit. 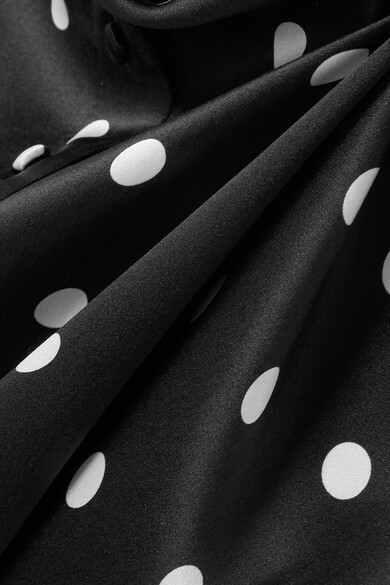 The covered buttons can be undone to create a slit through the front. Shown here with: Cami NYC Top, BY FAR Tote, BY FAR Sandals.